Northshore Cairn is based on a a stack of rocks I found near Grand Marais, Minnesota while walking the shoreline. The Cairn has a very pleasing composition and I loved the way the small rock at the bottom was shoved against the larger rock to keep it from wobbling. I photographed it to make this painting. You might say I’m inspired by the art of the Cairn builder, and I consider Northshore Cairn to be a collaboration with another artist I’ve never met. Carins are rocks stacked on top of each other. For Native Americans, cairns were a method to mark a trail, but today building and leaving cairns has become an art form. The artist stack rocks for others to see. The challenge is often to see how high or unique you can stack your cairn. 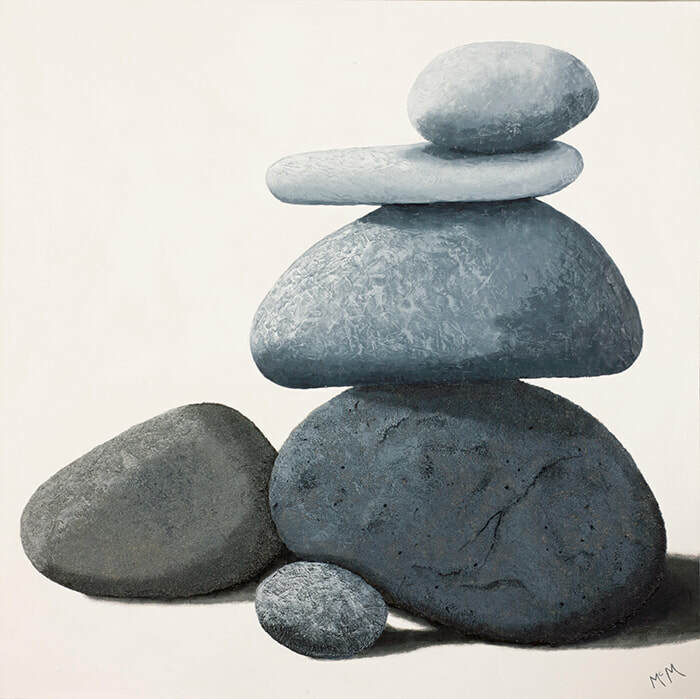 After seeing dozens of beautiful cairns stacked along the Minnesota Northshore I was inspired to make a series of paintings of these remarkable stacked rocks. 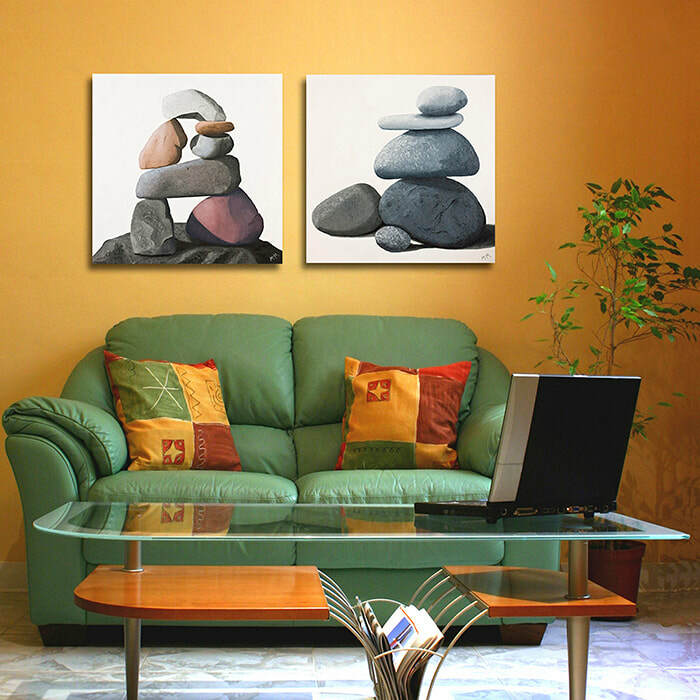 We attempt to estimate the cost of shipping and insurance for paintings and include it in the painting price. On occasion, with larger artwork, and for international sales we may need to adjust the shipping costs after the actual shipping and insurance costs have been determined.